Puttanesca – a classic Italian favourite full of flavour and history! 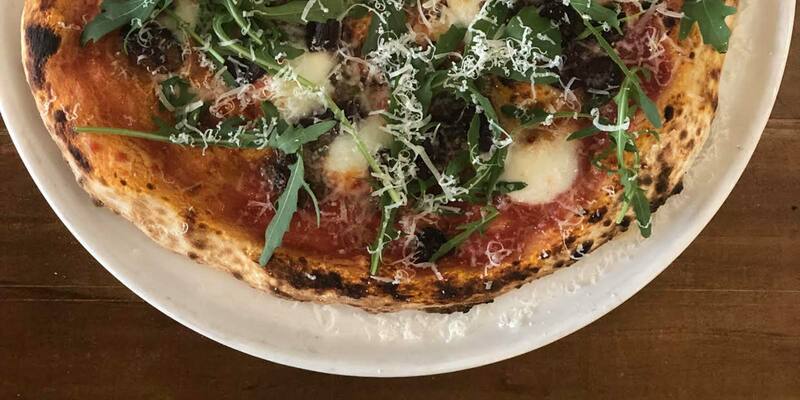 Presenting April’s pizza special – our famous pillowy sourdough pizza base is smeared with a rich tomato sauce, topped with capers, anchovies, kalamata olives, garlic, chilli and finished with crisp rocket, shavings of parmesan and a swirl of extra virgin olive oil. Buon Appetito! JAPANESE CHICKEN CURRY PIZZA is our March special. 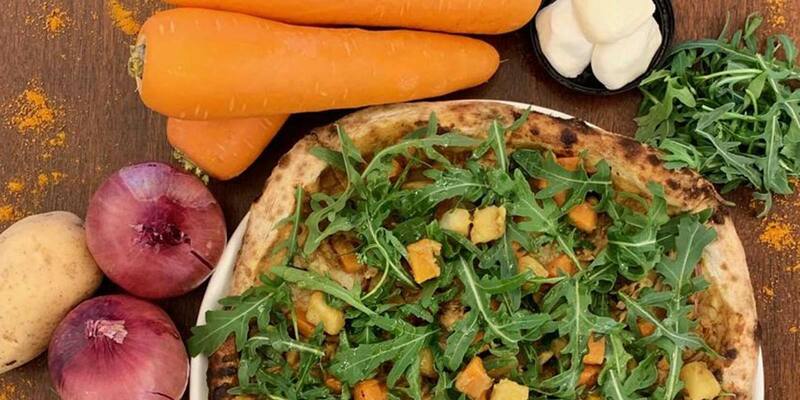 Try our exotic and bold toppings of Japanese curried potato & carrot, pulled chicken, red onion, bocconcini and rocket leaves all on top of our famous sourdough pillowy pizza base. Hurry to try our Curry Chicken Pizza! 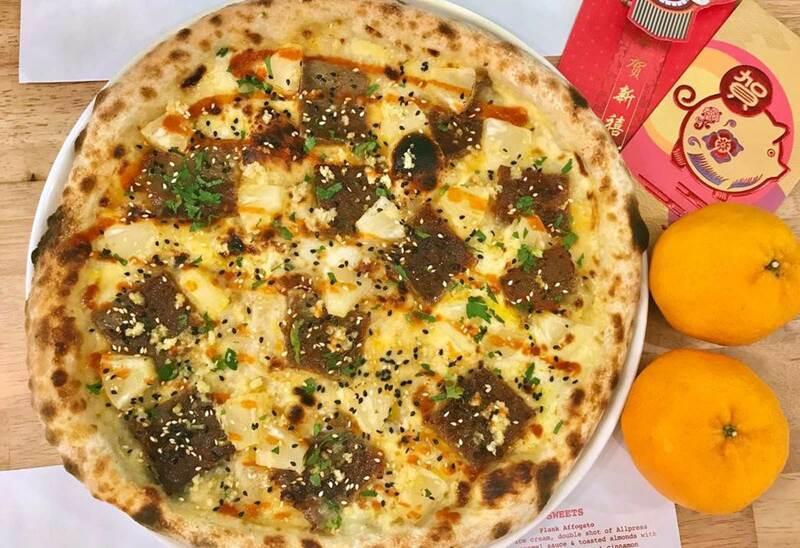 Move into celebration mode with Plank Sourdough Pizza’s Chinese New Year special Bak Kwa Pizza! The best way to start the great pig year ahead will be to enjoy our homemade, dried, sweet pork Bak Kwa. Pineapple cream sauce is smothered onto our famous pillowy sourdough pizza bases and then topped generously with Bak Kwa, pineapple pieces, bocconcini and lemon zest. After a quick but intense burst in our Valoriani oven, the pizza is finished with black and white sesame seeds and spicy Sriracha sauce. Happy lunar new year!